When you mix stately, traditional style with a European flair, you’ve got something special. 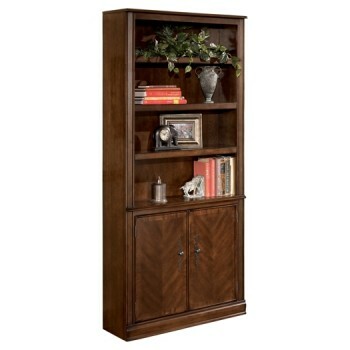 Case in point: this striking door bookcase. Simply beautiful, it’s bathed in a richly colored finish for rustic warmth and high-end appeal. Shelving storage behind the dual doors is especially convenient.